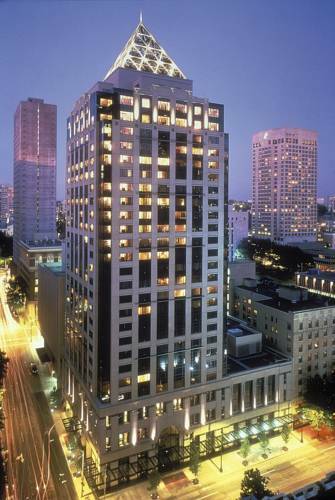 Contemporary 24 story, two-tower hotel offers 732 plush guest rooms including 55 suites decorated with the style conscious business traveler in mind. Recently renovated, both private and public areas are impeccably furnished and weave a regional thread into the aesthetic by honoring the Asian influence so prevalent in the Northwest. 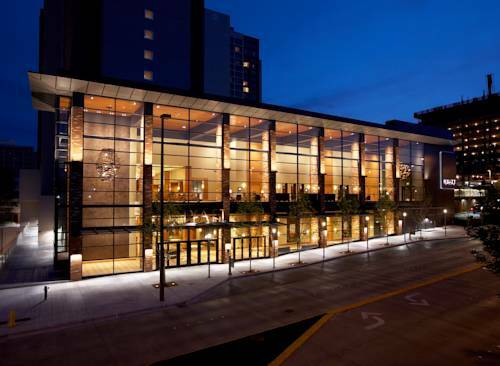 In the heart of downtown Bellevue, the hotel serves as an anchor within the trendy Bellevue Collection featuring 250 stores, 45 restaurants and lounges, and plenty of entertainment options. Safe, clean, and very walkable. Hotel Bellwether is Western Washington's premier, intimate, upscale waterfront-destination hotel providing exceptional accommodations, attentive service, and personalized amenities that pamper the leisure traveler, support the business traveler, and facilitate great meetings and outstanding events. Located on Bellingham Bay in the Pacific Northwest city of Bellingham in Whatcom County, Washington. West of the Cascade mountain range and towering Mt. Baker, the snow-capped wonder that sets the background for spectacular sunrises. WASHINGTON STATE - USA: Conveniently located just 2-hours north of Seattle, and 1.5-hours south of Vancouver, B.C., Mt. Baker Lodging is your source for private, self-catered, fully equipped Mt. Baker area cabins, cottages, condos, chalets, and executive vacation home rental accommodations, located in the mountain villages of Glacier and Maple Falls, at the magnificent gateway to the Mt. Baker Snoqualmie National Forest, and the adjacent Mount Baker Ski Area! MENTION AD # 1112 WHEN PLACING YOUR RESERVATION, AND RECEIVE A SPECIAL GIFT AT CHECK-IN! Special Packages / Additional Info: We offer several special services and options: Therapeutic Massage: have a Washington State licensed massage therapist come to your vacation property and give you a massage. Ask for rates and details. Catering: We'd be happy to assist you with catering services for your special event. Groups, weddings, reunions & retreats are our specialty! The Woodmark Hotel,Yacht Club & Spa is the only hotel on the picturesque shores of Lake Washington. Business and leisure travelers alike admire the sweeping shore line views of the magnificent Olympic Mountains and Seattle skyline. A quick, 20 minute drive across the Evergreen Point floating bridge, brings you into the bustling city of Seattle. You'll find the Eastside high-tech communities of Redmond,Bothell and Bellevue are minutes away. The Woodmark is an integral part of Carillon Point's exclusive 31-acre waterfront community offering a variety of specialty shops, restaurants, a fitness facility, scenic marina and Spa at the Woodmark,a full-service destination spa. A waterfront promenade, public pier, silvery salmon stream and well-groomed gardens complete this lakeside retreat. Paddle the lake in a canoe or kayak. Learn secrets of the rainforest on a guided interpretive hike or make your own discoveries on nearby n ature trails and loop hikes. Enjoy biking, outsanding fishing, and exploring. See the world�s largest Sitka Spruce. We know all that this area has to offer and we will help you to choose the activities that will make your visit even more memorable. 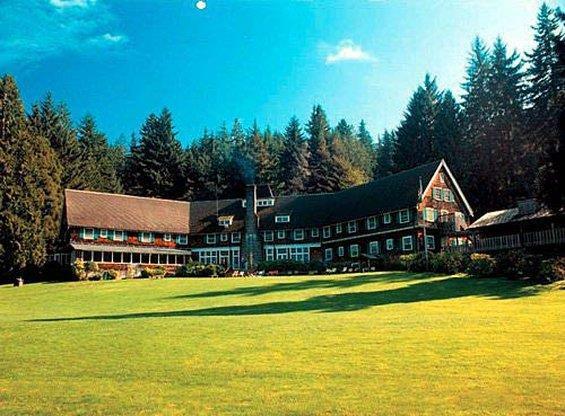 Rain Forest Resort Village is a small resort on Lake Quinault in the heart of the Quinault Rainforest. Our address is 516 South Shore Road Quinault WA 98575. The resort offers a variety of accommodations Fireplaces Cabins of different sizes Parkside Suites and 3 types of rooms in the Village Inn. On the grounds of the resort is located the Worlds Largest Spruce Tree. The on site Salmon House Restaurant is a very popular choice for diners in the Lake Quinault area. The Fairmont Olympic is Seattle�s premier luxury hotel. Since opening in 1924, The Olympic has been the region�s destination for prominent civic and social events, as well as honeymoons, birthday celebrations and in,city getaways. Boasting impeccable service, splendid Italian Renaissance architecture and two award,winning restaurants, The Olympic hotel in Seattle is listed on the National Register of Historic Places and is widely regarded as one of the citys most celebrated treasures. The Fairmont Olympic Hotel is ideally located in the heart of Seattle, footsteps from the city�s most exciting attractions, including the famous Pike Place Market, Seattle Waterfront and Space Needle, plus a multitude of museums, theatres, shops and restaurants. In addition to 450 well,appointed guestrooms and suites, The Olympic also offers more than 26.000 square feet of stunning meeting space and countless amenities, including a full service health club, spa, and indoor swimming pool. By delivering luxury, timeless style and unparalleled service in unrivaled surroundings, The Fairmont Olympic Hotel gains a place in the heart of each guest who passes through its doors. The 26-story W is a beacon welcoming the urban, urbane and contemporary to their refuge in Seattles cultural core. In the heart of downtown, W Seattle is close to art and music centers, financial and retail hubs, and the Pike Place Market. Energized Evenings. Indulge in TRACE Bars bold flavors a Seattle microbrew, a Washington vineyards best or a craft cocktail by way of a Pacific Northwest distillery. Savor the restaurants innovative, locally-sourced cuisine. Discover our vibrant new Living Room. Where do Dreams Come True? 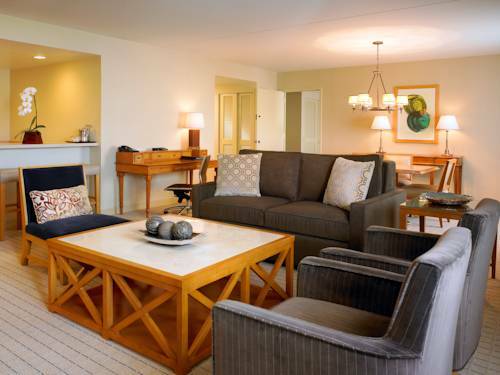 Smart style meets cool comfort in our 415 guest rooms and 8 suites. Youll find lan and ease in every nuance. Renew with the Bliss sinkside six-pack, collapse into our signature pillowtop mattress, or take in the views from the plush banquette. Offering 425 stylish guestrooms and suites, the Grand Hyatt Seattle combines convenient location, luxurious accommodations, and state-of-the-art facilities with unparalleled services. The guestroom entrance includes stone flooring and ledges, welcoming Onyx lighting which leads to an over sized four fixture bathroom with cast iron deep soaking tub and separate glass enclosed shower of Carrara Marble. 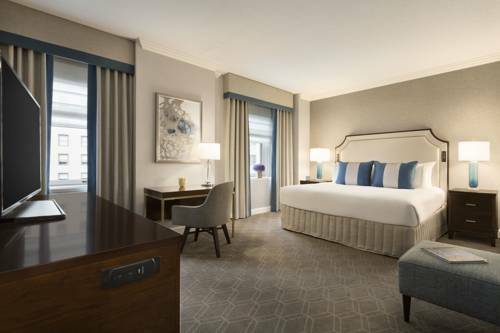 Relax in true comfort and style in newly renovated guest rooms, which offer a special blend of stately sophisticated charm and modern luxury. 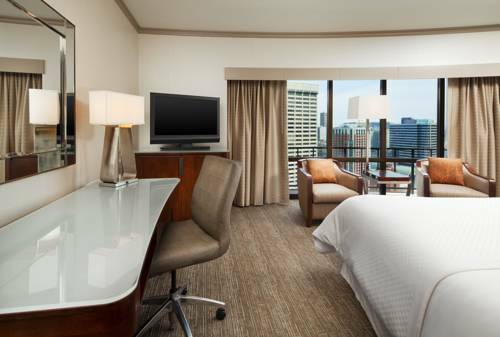 Our 231 king or two queen bedded rooms feature views of the world-famous Space Needle or city skyline. All guest rooms are well-appointed with Serta plush bedding sets, Italian marble bathrooms, iPod docking stations, 37-inch flat-screen LCD TVs, multiple phones and internationally adaptable electrical sockets. Executive and Premier room categories also include a mini-bar. Warwick Seattle Hotel also offers 24-hour In-room dining -room service, indoor heated swimming pool, whirlpool, sauna and Warwick s fitness room. The premier choice among downtown Seattle hotels Warwick Seattle, Belltown s landmark hotel, is located on the North end of the downtown core and within walking distance to most Seattle attractions. Central to downtown, close to shops, restaurants and attractions. Situated in the city's vibrant core, the Sheraton Seattle Hotel provides a gateway to the diverse sights and sounds of the Pacific Northwest. Simply step out our front doors to find gourmet food, exciting entertainment, and world-class shopping. A pool, fitness center, and chic new restaurants make for a refreshing stay. Settle into the stylish comfort of one of our 1,236 smoke-free guest rooms, offering breathtaking views of the Emerald City. A peaceful night's sleep awaits you between the crisp sheets and plush duvet of our inviting Sheraton Sweet Sleeper Bed. The Westin Seattle is your front door to the Pacific Northwest. An ideal urban retreat, we are just steps away from the Washington State Convention Center, Pike Place Market, and Seattles most enticing shops. We are one of only two hotels in the city offering unobstructed views of Puget Sound, Lake Union, and the Seattle skyline. After a day of meetings and sightseeing, relax and unwind in the elegant Lobby Bar, featuring a full-service bar and flat-screen TVs. And Relish Burger Bistro serves gourmet burgers with modern twists in an interactive setting. Enjoy modern elegance in our newly renovated lobby, the heart of the hotel. Wireless High Speed Internet Access and a cozy gathering space make it perfect for hosting a casual meeting or simply catching up with friends. Welcome to The Westin Seattle.